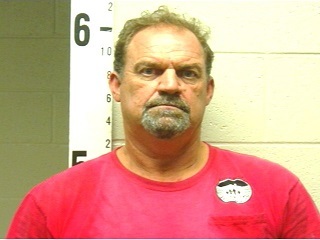 MEMPHIS – An investigation by agents with the Tennessee Bureau of Investigation has resulted in the indictment of the Brighton, TN mayor who is accused of using city resources for work on his son’s home. At the request of 25th District Attorney General Mike Dunavant and following an audit by investigators with the Tennessee Comptroller of the Treasury, TBI special agents began investigating Jeffrey Scott on June 17, 2014. During the course of the investigation, agents determined that from October 28th to October 30th, 2013 Scott used city personnel and equipment to assist with construction work of his son’s house. On Monday, the Tipton County Grand Jury returned an indictment charging Scott, 53, with three counts of Official Misconduct and one count of Theft Over $1000. Scott was booked into the Tipton County Jail today on a $5,000 bond.